Turn on a made-for-TV movie or one of those “reality” shows about adoption and you’ll find adult children in serious angst over being given up. Everyone seems to be frantically searching for natural mothers and birth siblings. Invariably during the program’s second segment, after the commercial break, the viewer meets the long-suffering mother. Apparently she never stopped loving, worrying about, and searching for the baby taken from her or surrendered during a momentary lapse of judgment. These stories have always rung false for me, or at least overly “Hollywood” dramatic. Do I believe such situations exist in real life? Yes, indeed. But are they the norm as the producers would have us believe? Not by a long shot, in my opinion. I’ve known too many adopted friends and siblings who suffered disappointments or faced disaster after discovering their “roots.” Personally, I hold no grudge or latent hostility for the woman who gave me up, but I also possess no buried affection either. She is a stranger. Throughout my life I’ve been offended by the predictable question: Don’t you want to know who your real mom is? I’ve always replied, “No, because I know who my real mother is—she’s the one who wiped my runny nose, fixed my peanut butter and jelly sandwiches, and put up with my sassy mouth as a teenager. As a writer who was adopted from Children's Services as an infant, I chose to explore this issue from a different viewpoint…as the woman who gave up her child. In Always in my Heart, my novella from An Amish Miracle, Hope Bowman believes God punished her for giving up her firstborn son and because she hid this secret from her husband. Although Hope is thankful for three daughters, she still prays for a son. But instead of a new baby, God sends her the fifteen-year-old boy she had abandoned. Writing that novella several years ago turned out to be therapeutic for me. But in my upcoming release, Hiding in Plain Sight, I chose to tackle this sensitive issue from a different viewpoint, as a biological sibling in need of an organ transplant. I thank God that I haven’t needed a transplant thus far, but this situation happens every day. Although my adoptive parents were the only ones I ever knew and as "real" as birth parents to me, other adoptees might choose a different path. I hope you'll enjoy my Amish novella or my next book, Hiding in Plain Sight, about two young women brought together to save one life. 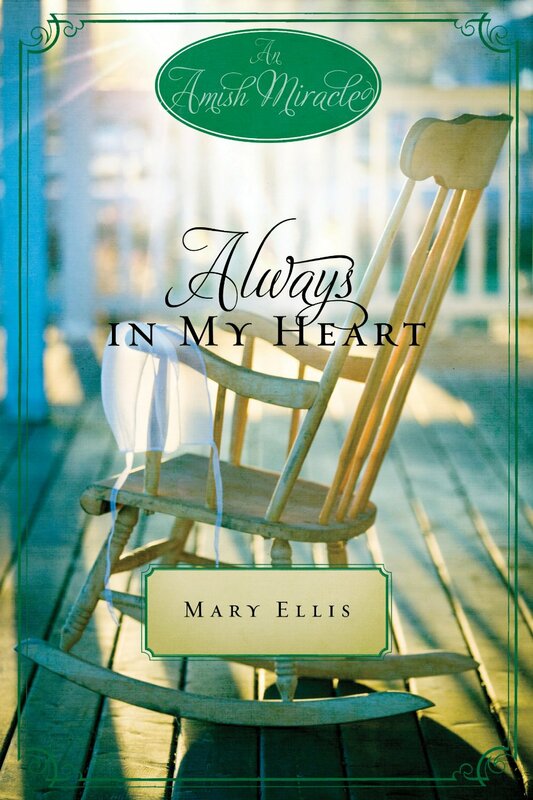 The award-winning Always in My Heart (novella) is available in Kindle from Amazon, or in the paperback anthology, An Amish Miracle from Harper Collins Christian Publishing. 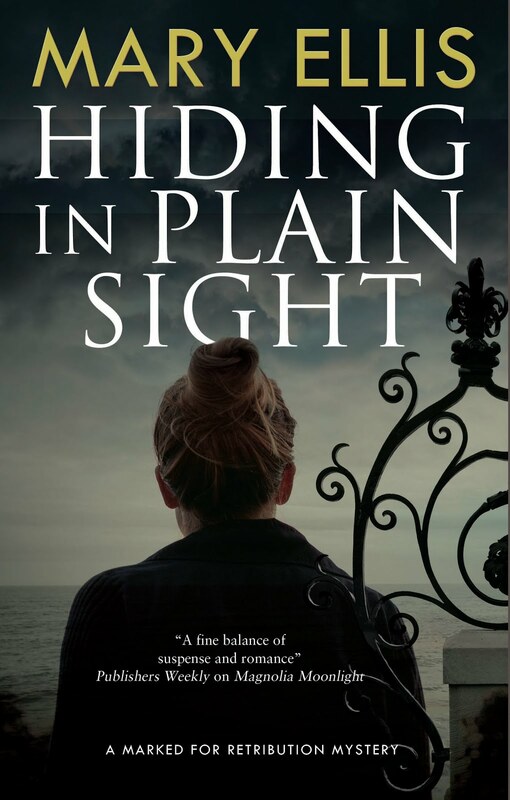 Hiding in Plain Sight will release on August 1st from Severn House Publishers in hardback and electronic editions. 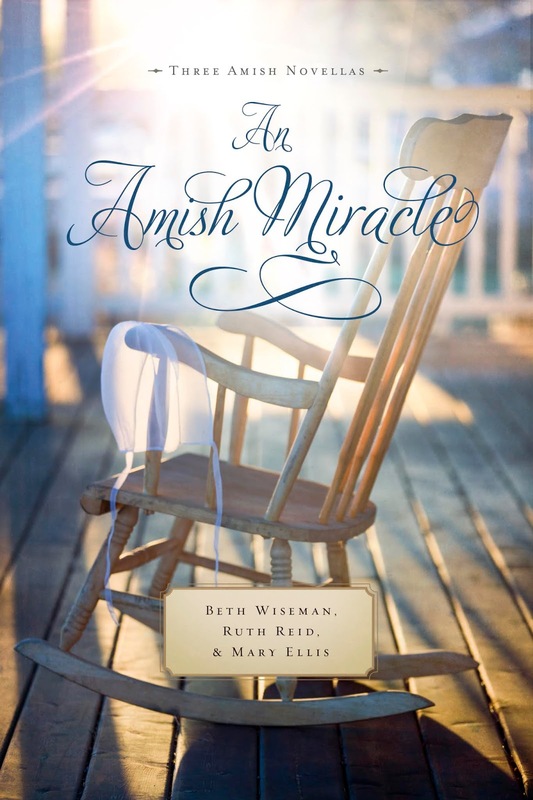 Please leave me a comment for a chance to win the An Amish Miracle anthology. Sorry, US readers only. The police cannot decide if the clown sightings in Grambling pose a threat or are just a hoax – until a young homeless boy is lured away from his parents in the dead of night. Malachi’s past is haunting him: he is pulled between a desire to find the boy who was snatched from Tent City and a need to drown his memories of another little boy. But then in the midst of the kidnapping case, a murder occurs. Can reporter Branigan Powers and Malachi bring the truth to light before the little boy is harmed, and before the wrong person is convicted of murder? The Suspense Sisters are proud to announce Deb Richardson-Moore has released Death of a Jester! 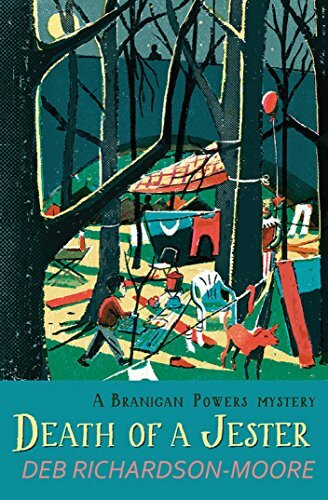 Patricia Bell is a forty something year old (give or take) whose brain has been scorched by the hot desert Arizona sun. Which, by the way, is the setting for most of her stories. She’s authored several books and is continually writing, whether in her head or on the screen. Her characters are often sharp witted and sarcastic and more often than not, find themselves in a bit of trouble. Patricia is married to her best friend and has three grown children who think they know better than she. Who knows, maybe they do. As a Christian, her stories each have a message of grace and hope as well as suspense and a tiny touch of romance. She is an Avid reader of Christian fiction of any kind, and sometimes dabbles into the unknown world of Stephen King, J.K. Rowling, and John Grisham. If you had to describe yourself in one sentence, what would you say? I am a follower of Christ, a loving wife, and a caring friend. What do you do when you’re not writing? Any interesting hobbies? More recently I’ve been on the Keto/healthy food kick, so pinning on Pinterest has been a thing. I also love to read. I always have a book at the ready. What was your favorite book as a teen or child? I loved Judy Blume books. I would have to say Are you there God, it’s me Margaret was my all-time favorite book. Tell us three things about yourself that might surprise your readers. 1. I served in the U.S. Navy for thirteen years. 2. I lived on the small island of Guam for two years. 3. I’ve been on two missionary trips to Uganda. Why did you pick the genre you’re writing? I usually write in the Christian suspense genre. I love the action and uncertainty of a good story. I also enjoy adding just a hint of romance along with an inspirational message. What is your biggest challenge right now as a writer? My biggest challenge is time. I thought being a writer meant you sit down and write a book and you are done. There are so many other aspects to writing that can be very costly and time consuming. Marketing is the absolute worst. The toughest criticism was given to me by Nancy Mehl. But at the same time, she was my best compliment. That she took the time to read one of my books and encourage me, means a great deal to me. Other great compliments are when someone has read a book of mine and is inspired by it. Any other genres you’d like to try? If yes, what and why? Okay so, a friend of mine says I should try out the romance genre. I am not a very romantic type of person but I wrote out an outline to an entire billionaire romance series. To be perfectly honest, I think it’s more on the comedy side than romance, but someday I might write it. Maybe even someday soon. Where do you see yourself in five years? Ten? In five? I hope to be a full-time writer. By ten years, I would like to be better established and have an entire library of my own books. 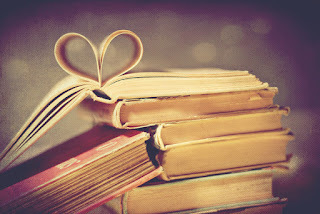 What is the most important thing you’d like readers to take away from your books? Each of my books present a message of hope. Whether it be an abused woman, A wayward teen or an abducted child, each story is uniquely inspiring and often tragic. Back home, Luna’s mother is frantic with worry, and fraught with guilt. In her frustration she does something she promised she would never do. Something that will change the course of her life forever. 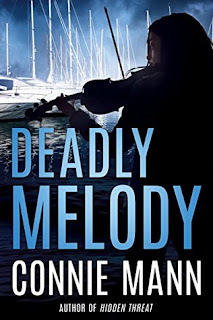 Can Canyon Rock Chief of Police Erika Granger find the girl in time? 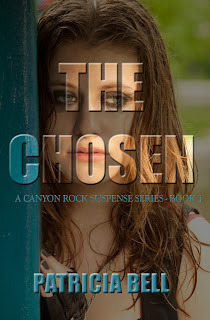 *Patricia is giving away an ebook copy of THE CHOSEN. Leave a comment, along with your contact information for a chance to win! 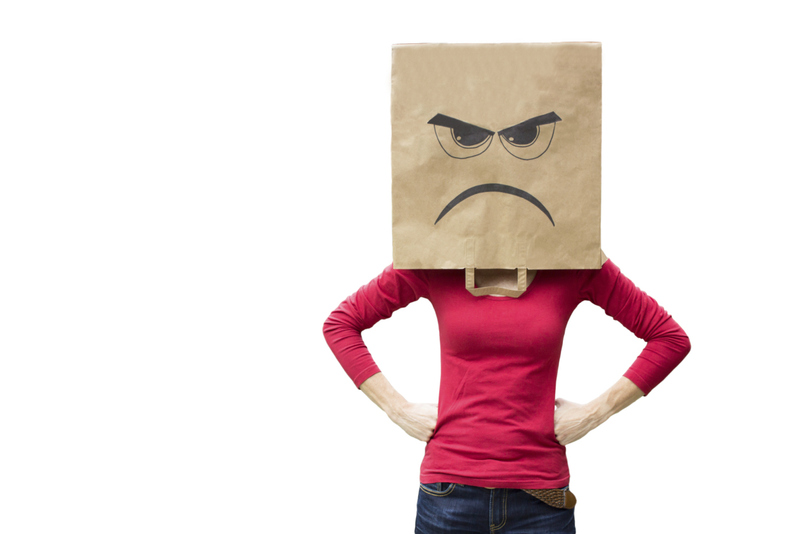 “GLOOM, DESPAIR AND AGONY ON ME…” Dealing with One Writer’s Disappointments. It occurred to me that some of you may not recognize the reference in the title of this piece. It’s the lyrics of a song from an old, old TV show: HEE HAW. It’s the ultimate anthem of self-pity, sung by a quartet of sobbing generic hillbillies as they hug jugs of homemade adult beverage to their chests. It's really pretty funny. Fast-forward a few years through marriage and motherhood to an empty nest and the desire to write books I enjoyed, namely cozy mysteries. “How hard can it be?” I thought. I’ve enjoyed writing my books. I get to play a god in an imaginary world, putting words in people’s mouths and giving them adventures I could never experience in real life. As it turned out, my attention span had stretched over the years and I could now craft a book over sixty thousand words! But that was the easy part, as every writer will tell you. The next step is to get published. These days, an industry based on the hard work of writers makes it close to impossible for new ones to get heard and seen by publishers. Notice I said “close to." It can be done, but it requires dogged determination, faith in your “product” (your book) and I believe, guidance from Heaven. Methods include: networking at conferences, oodles of submissions, entering contests, and just plain combing the Internet for opportunities. Something important to remember is that the book business is just that: a business. It’s difficult for a writer who has poured his/her heart and soul into a work to remember that the publisher who accepts your book is taking a chance on you. So, for that matter, are the bookstore owners who stock it. (Talk about coming full circle!) Take a look at the marked-down books at the remainder table where booksellers are probably taking a loss. It’s necessary to cut them all a little emotional slack. Speaking personally, I’ve never made any best-seller list and (after my copywriting days) certainly have never made anything approaching a living wage with writing. But it’s still fun, and in the course of my adventures I have discovered another passion: mentoring. Quite by accident or Providential design, I offered to give a talk on mysteries at a community center and was persuaded to turn it into a month of weekly lessons on writing. At the end of the month, the attendees asked to continue. We listen to each other’s work, suggest tweaks and generally encourage each other. In the past five years or so, members of our group have turned out quite a few published pieces and several books. We're a blessing to each other! But this is Grownup Land, people. This is where you climb out of the Slough of Despond (look it up), take a shower and begin once again to trudge along that familiar creative road. F. Scott Fitzgerald: "You’d have a decent book if you’d get rid of that Gatsby character." Margaret Mitchell: Gone with the Wind was rejected 38 times before publication. Anne Frank: Diary of a Young Girlwas rejected 15 times before publication. Madeline L’Engle: A Wrinkle in Time was rejected 26 times before publication. Dear reader, lest you think I'm still tearfully wallowing in the mire with a jug of moonshine, I can announce that there's good news on my horizon. The first of my Miss Prentice series, IRREGARDLESS OF MURDER, is about to be released (by Sheaf House) as an audio book. Check for the title on Amazon Audible! See? I'm not really sad! The Martinellis were the closest thing to family Cat Johnson ever had. That’s why she ran—to protect them from her threatening past. The orphaned child of classical musicians, she’s been lying low in Nashville and performing at the No Name Café. When Cat reluctantly agrees to attend the wedding of her beloved foster sister, the plan is simple: make a quick appearance at the Martinellis’, then disappear again. Instead, she’s thrust headlong into a nightmare. 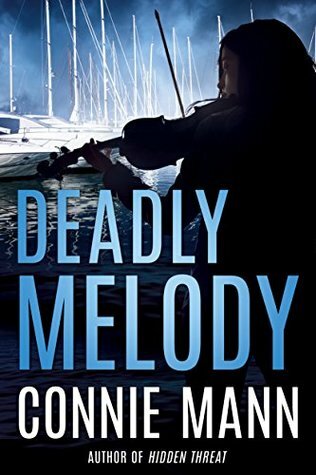 After a wedding guest is murdered, Cat’s past becomes harder and harder to avoid. So does handsome and inquisitive Safe Harbor cop Nick Stanton, who will stop at nothing to uncover the town’s secrets. That means exposing Cat’s as well. The more intimate Nick’s feelings for Cat become, the more driven he is to find out what she’s hiding. As things in Safe Harbor take a terrifying turn, Cat realizes that the man she’s afraid to trust might be the only one she can turn to. We’re planning another great week on the Suspense Sisters. Check out our posts, our interviews, and our awesome giveaways! On Tuesday Patricia Bradley will share What’s Hot in Inspirational Suspense and Mystery. 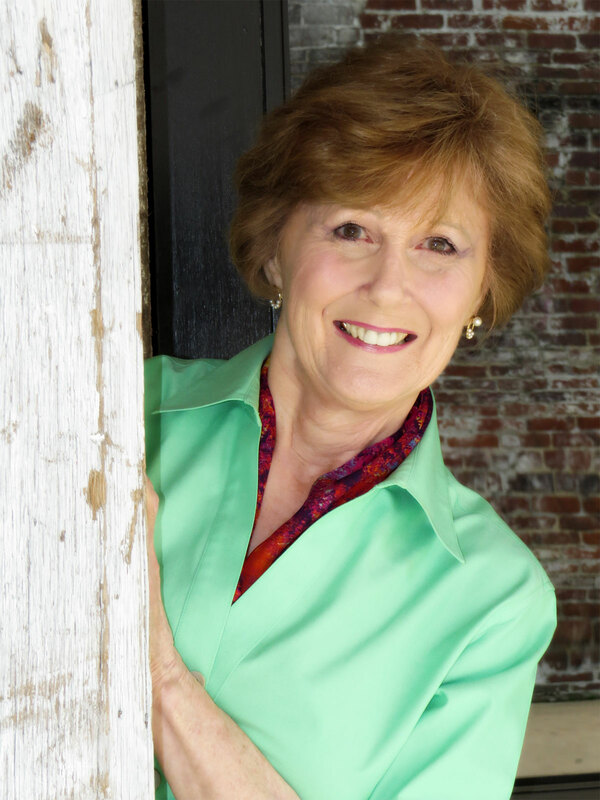 Wednesday we’ll hear from Suspense Sister, Ellen Kennedy. Her post is titled: Gloom, Despair and Agony on Me. You can probably guess that she’ll be talking about the disappointments writers face. 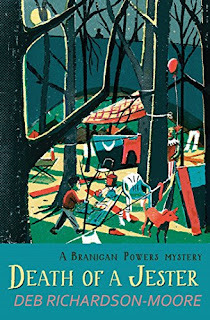 Ellen will also be giving away an ebook copy of one of her great cozy mysteries! 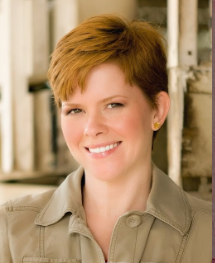 On Friday, we’ll interview mystery/suspense writer Patricia Bell. Come by and get to know Patricia! She’ll give away an ebook copy of her new book, THE CHOSEN! desperately, Luna agrees to his offer. She soon realizes that bad things happen among the community . . . and she's been chosen to do the unthinkable. SAY HELLO TO CARLA HOCH! We’re excited to announce a new addition to the Suspense Sisters! Say hello to Carla Hoch! Carla runs a unique site called: FightWrite. Carla teaches authors how to write fight scenes! You’ll love getting to know this interesting, funny and amazing woman. The following bio (written by Carla) will give you a glimpse into her fun personality. Leave a comment after her interview and welcome her to the Suspense Sisters. Please give us your contact information. You could win a $25.00 Amazon gift card! Moments before the destruction of her home planet, Carla's parents jettisoned her and her twin brother to earth. He was taken in by a kindly farmer in Kansas while she was embraced by a rather liberal clowder of feral cats in Houston, Texas. While still a toddler, she bid farewell to her feline family and headed to Pace, Florida, a small hamlet just outside Pensacola. There she raised herself in a hollowed out tree trunk and taught herself to speak fluent Southern, ride out a hurricane like a pro and tell the difference between Coke and Pepsi by fizz alone. As an adult, she fulfilled the dream of all feral cats and became a Spanish teacher and track coach. After nearly a decade in the classroom, she met a military cyborg who promptly married her and whisked her away to such exotic locations as Virginia and New Mexico. Now, a mother of twins herself, she and her husband have returned to the People's Holy Republic of Texas and reside not far from where her pod originally landed. Unlike her twin, Clark, Carla found her powers late in life. She was first introduced to them through a Hapkido based self defense class. From there she went on to train in MMA, Muay Thai, Taekwondo, street defense, Sayoc and is currently a student of Brazilian Jiu-jitsu. She has also assisted her coach Eddie Avelar (not altogether human himself) in the teaching of self defense. With him she continues the study of *street defense - or whatever he happens to throw at her. Literally. Sometimes he literally throws things at her. 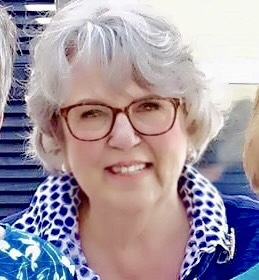 Carla published more than 50 articles as both a color and ghost writer in her three years working for a local magazine. She is traditionally and independently published in book form as well. 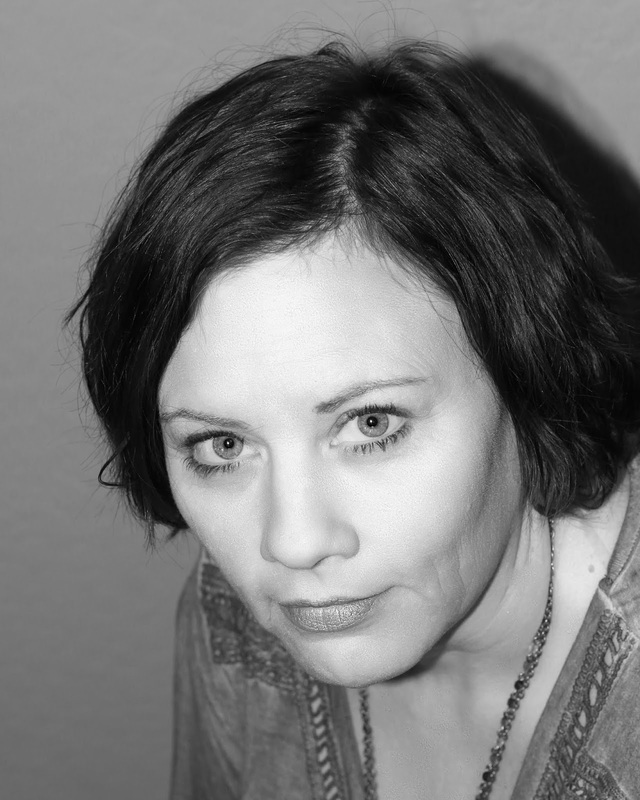 Carla is a professional fight scene editor, consultant, and FightWriting teacher. She is the host of The Geek Block podcast on the Along Came a Writer network and, as far as you know, not working with cats in their evil plot to overtake the world. Tell us about FightWrite. What do you do? 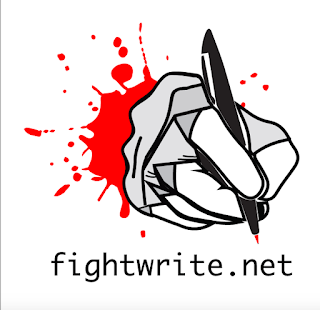 FightWrite.net is a fighting resource for writers. 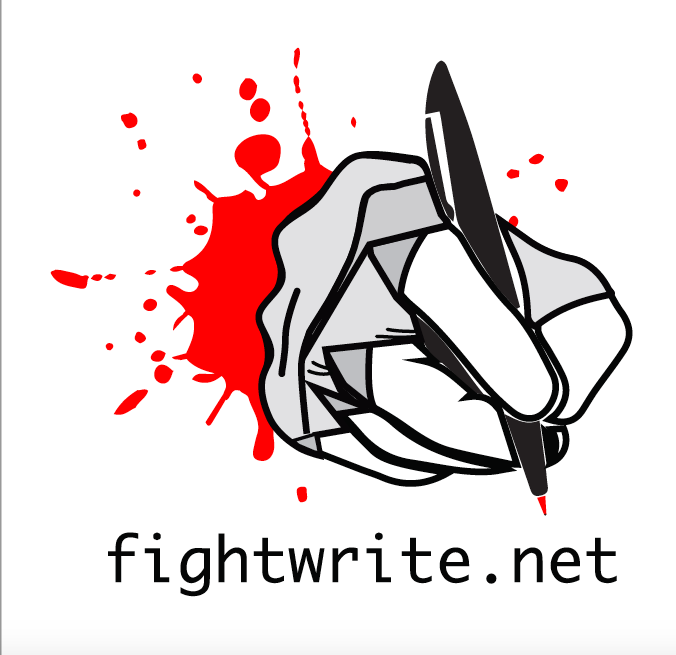 There writers can learn about fighting technique, common injuries, psychological effects, weaponry and, of course, the craft of fight writing itself. I am also a professional fight scene editor. Folks send me their fight scenes to check for errors. I also mentor writers in the writing of fight scenes. How did you get involved in something like this? didn’t know the first thing about fighting. I enrolled in a hapkido based self defense class hoping it would give me some tools. It scared me to death. I left the first class, got into my mom’s van, put my head on the steering wheel and ugly cried. I couldn’t go back. Absolutely not. No way. 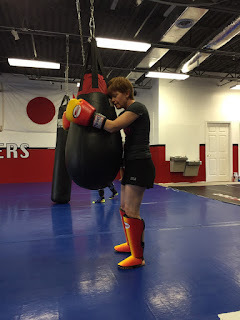 So, I went back and now at the young age of 45 I have training in taekwondo, MMA style fighting, Muay Thai style kickboxing, street defense with weaponry, Filipino martial arts (blades), kung fu, judo and Brazilian jiu-jitsu in which I still train five times a week. I also train privately with a fight coach. He teaches me all manner of weaponry and fighting. I have assisted him in the teaching of self defense and I teach self defense both privately and to groups. As far as fight writing, a couple years ago a fellow writer reached out to me about some of my training. He found it interesting and managed to get me on a panel at a writer’s conference. The panel was designed to field questions about writing fight scenes. More than not, the questions were about actual fighting and I was the one who could answer them which the audience found funny. Again, I’m not short in the tooth plus I’m the size of a strapping 6th grade boy. That same writer’s conference, Realm Makers, had me back the next year and gave me a time slot all my own. With that fellow writer, who got me on the fight panel, I demoed all manner of punchy kicky things and critiqued work in front of crowd of about two hundred. I was asked back again the next year and am once again on the schedule for this year. After the second appearance at the conference I was approached by the folks at Quill Pen Editorial. They wanted to contract me as a fight scene editor. I loved the work and thought, hmmm, how can I do this more often? Thus, the blog began. How often do writers get fight scenes wrong? Can you give us some examples? Well, pretty often and that is to be expected. Fighting is a skill. You are born with ability, you acquire skill. I don’t know how to quilt. It’s a skill that no one has taught me. And, in that way, quilting and fighting are exactly the same. I find that writers struggle with movements and what realistically follows. For example, I edited a fight scene where a female character was attacked from behind and knocked down to the floor in a surprise attack. Her attacker immediately descended up on her and she found herself clawing and scratching in a fight for her life. Sounds simple enough, right? Well, there’s actually a problem there. When you are knocked down, you fall flat on your belly and chest. You are facing the floor. In order to fight your attacker, you have to turn over which is difficult for one when you are surprised and two when your attacker immediately follows up with subsequent strikes. The writer had to tweak that scene. I do write. I am by nature a speculative fiction nerd. You know, aliens, elves, beasties and the ilk. I’ve had things published in the genre. I am also a writer for a martial arts company that will be starting up in June of this year. For them I’ve written a character education curriculum for kids and I will be their full time blogger. In the past I wrote for a local magazine and was published about fifty times but not always under my name. I wrote adverts and did a fair amount of ghost writing. I still write advertisements for folks. I have a book that is currently being considered by a publisher, stay tuned for more info on that and am agented by the Steve Laube agency. I am first and foremost a wife and mom. So, my daily goals are to keep all the mammals in my house loved, fed and clothed with mostly clean clothes. My training goals are to acquire my black belt in Brazilian jiu-jitsu and gain some proficiency in kung fu. I also want to be better with a sword and bull whip. Yes, really. Bull whips are scary! My writing goals are to do a follow up book to the one I’ve just finished, keep my blog going, and enjoy the whole of it. Self defense means a great deal to me. I encourage everyone to enroll in a course. And, not just for one day. Make it a habit. If you think you aren’t healthy enough for it, that’s even more reason to do it. The more compromised you are physically the more likely you are to be a target. Violent offenders choose their targets in an average of seven seconds or less. They do so based on how people walk. Know where you are going. Keep your head up, look around confidently and make eye contact with people you pass. Put away your phone and don’t be distracted. Walk around with the thought, “You don’t want to mess with me.” Yes, you can smile, but do so like a lion, not a gazelle. Also, do not ever entertain conversation with a stranger in an isolated or unsafe environment such as a parking garage. If they ask you the time, hold your hand up and say, “Sorry, have to go,” and keep going. These conversations can actually be “interviews” by a potential attacker who is deciding if you are a good target. If you find yourself needing help while out and about and you are a woman, ask a woman for help. If there is not a woman, then ask a man. That is not sexist. It’s statistics. Also, the odds of you asking an attacker for help is low. The odds of one offering help to you is higher. If someone offers help and you tell them no, they shouldn’t keep pressing you. No is sufficient. It is a complete sentence. Stand your ground and tell them to back away. Worse case scenario, they are offended. Best case, you save your own life. You need no permission to keep yourself safe. It is your right. Exercising that right is not rude. It is the acme of civility. "You need no permission to keep yourself safe." Visit The Suspense Sisters to see what else Carla Hoch has to say about self-defense and about writing fight scenes. THIS WEEK ON THE SUSPENSE SISTERS! MURDER FOR EMILY'S SAKE - FREE!